The Holidays have come and gone, but our sleeves are available for purchase year round. Checkout our Clearance Page for deep discounts on our Holiday Card Sleeves! If you’re planning on buying gift cards for your employees, friends or family you’re in the right place! Get stocked up for next year – Our holiday gift card sleeves will help your gift stand out. 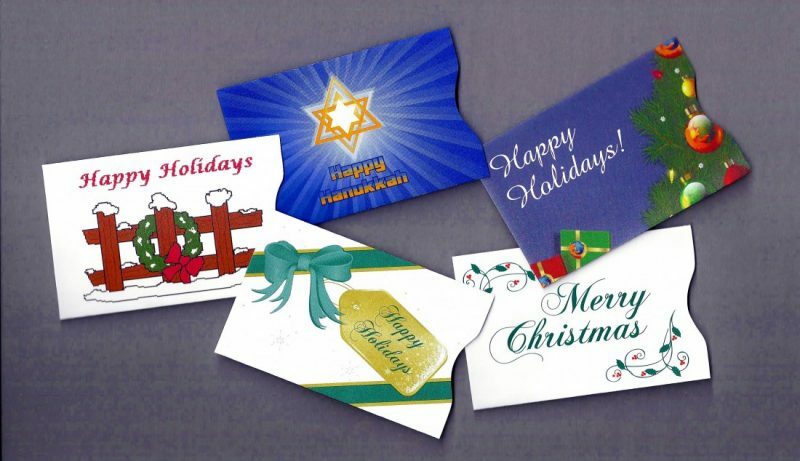 Our wide selection of printed in-stock gift card sleeves can be utilized for any holiday. Browse our items & make a purchase today! If you’re interested in customized holiday gift card sleeves, call our customer service team now!